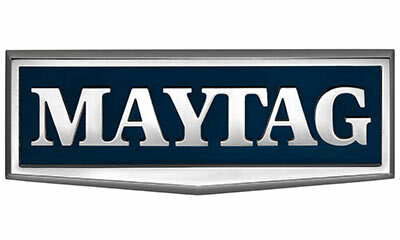 Maytag appliances are well-known for reliability, features, and affordability. However, even the best machines sometimes have problems. If your washer stops working, you may be tempted to call the iconic Maytag Man. 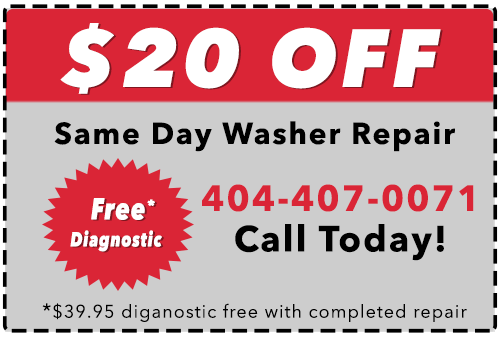 However, if you want affordable, same-day service in the Atlanta area, you’ll need to call It Is Fixed Appliance Repair. Our Maytag washing machine repair specialists are available seven days a week. Our fast, friendly service is exactly what you need to get your machine fixed before the laundry starts to pile up. Call or book online today! Refer to your owner’s manual to ensure the detergent cartridge properly installed. Check the detergent. Only use High Efficiency (HE) liquid detergent. Laundry pods and powdered detergent should not be used. If the message persists, there may be an issue with the machine control panel or wiring. As a temporary fix, press the “Load and Go” button until the indicator light turns off. This will allow the use of the “single use” dispenser until the “Load and Go” dispenser can be repaired. The washing cycle was interrupted. This code displays when the cycle is paused or canceled. This code can be removed by pressing pause or the cancel button twice, followed by the power button once. If the error code persists then unplug the washer and wait one minute before turning it back on. The Clean Washer cycle cannot complete due to items in the washer. The “Clean Washer Cycle” is a self-cleaning feature on select Maytag washer models. Empty the washer drum completely and restart the Clean Washer cycle. The machine detected too many suds in the washer drum. High-Efficiency washers clean clothes with less water than traditional washers. Because there is less water, it is harder to wash away suds as they form. If the suds overwhelm the washer, your clothes may not get clean, or the washer may leak. When the machine detected an overabundance of suds, the washer will extend the rinse time automatically, pausing the tumble cycle and adding additional water. The suds will gradually be removed as the bubbles break up. Only use HE marked detergent. Do not use “No Splash” or “Easy Pour” bleach. Ensure the washer drain hose is not clogged or bent. If the washer is not draining properly, check out our detailed troubleshooting guide for a washer that won’t drain for additional support information. There is a speed issue with the motor. This code appears when the motor cannot turn or has difficulty rotating. This may be because of an error in the motor speed sensor or the motor cannot reach the cycle speed. Check the washer to ensure shipping bolts have been removed from the machine. When purchased, the washer has four shipping bolts on the rear of the washer that must be removed before use. If these bolts and their associated washers are not removed then the motor will not be able to rotate properly. 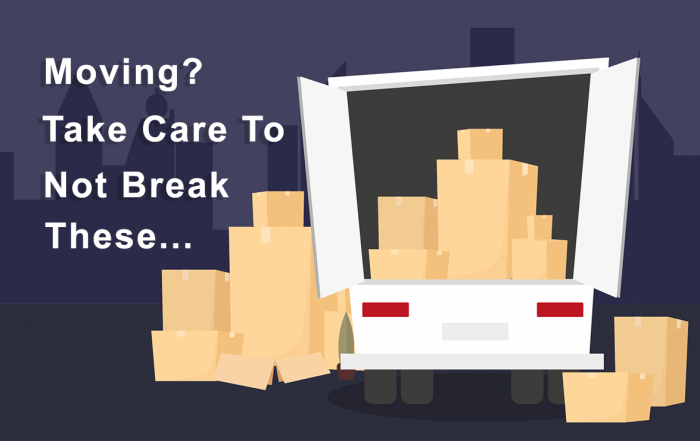 Reduce the load size. An overloaded washer will strain the motor and may prevent the washer from operating correctly. Other hardware issues may be at fault. For more information, read our troubleshooting guide for a washing machine that won’t spin. The washer lid can’t unlock. If you have a top-loading washer, clear the top of the washer. This error code occurs if there is a weight on top of the washer lid that prevents the lid from unlocking. If you have a front-loading washer, check our detailed troubleshooting guide for a washer that won’t unlock. Press the power button. This will cause the washer to drain over a 10 minute period. Wait until this is finished as this process cannot be interrupted. Inspect the hot and cold water valves and to ensure both open completely (both are required for the washer to run correctly). Check the connections and the water inlet hose. If the hoses are damaged or clogged, they may need to be replaced. This error can also occur if the washer is installed for the first time and turned on without a water connection. If this happens then, the washer will automatically start the drain cycle (even if no water is present). Wait for 10 minutes until the cycle is complete, then disconnect the power, connect and open both hot and cold inlet faucets. Press the Power button twice to reset the error code and restart the washer. There is a problem with the detergent dispenser. (Select models) Over time it is possible for the detergent dispenser to clog. Cleaning the dispenser resolves the issue. To clean the detergent dispenser, follow the directions in your owner’s manual. If you do not have a copy of your owner’s manual, you may be able to find it online at Manual Owl. The washer is draining slowly or is not draining properly. First, check the drainpipe for kinks or clogs. Unkink the line or remove any clogs if found. The washer has a minimum drainpipe height requirement of 39 inches (99 cm) and a maximum requirement of 96 inches (244 cm). Additionally, it is recommended to use HE detergent to reduce excess suds that may impede drainage. For additional assistance, read our troubleshooting guide for a washer that can’t drain. HC The inlet hoses are not connected correctly. This error code appears at the end of the wash cycle. If the hot and cold water hoses are installed in reverse (hot inlet to cold inlet, cold inlet to hot inlet), then this error will occur. Close the inlet water valves and reverse the hoses. Rerun the cycle and verify that the hoses are installed correctly. The washer is overloaded. The washer will automatically drain water and detergent if an overload is detected. When the cycle is stopped, remove excess items. Then close the lid, add more HE detergent, and press Start/Pause to restart the cycle. OfB Offbalance Load. Stop the cycle if the washer excessively vibrates or knocks. When the dial is flashing, open the lid and remove excess clothes and redistribute the remaining load. Press Start/Pause when finished to resume the cycle. This can also occur if the load is too light, in this case, add additional clothes during the rebalance. This may occur more frequently with large items like comforters. Use the Bulky/Sheets setting for these items. PF Power Fluctuation or Failure Press and hold the Start button to restart the current cycle, or press the Power button.